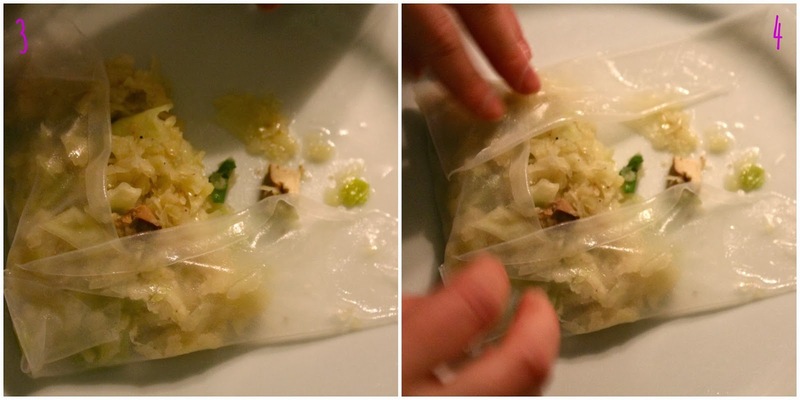 Shred the white cabbage and cut the tofu and and the spring onion into small pieces. For the filling gently roast the vegetables and the tofu. Grate the peel of your lemon and add the lemon zest to the vegetables. Add a little water and boil vegetables until done (personally I like it when the vegetables are still a bit crunchy). Add sesame salt and pepper to taste. 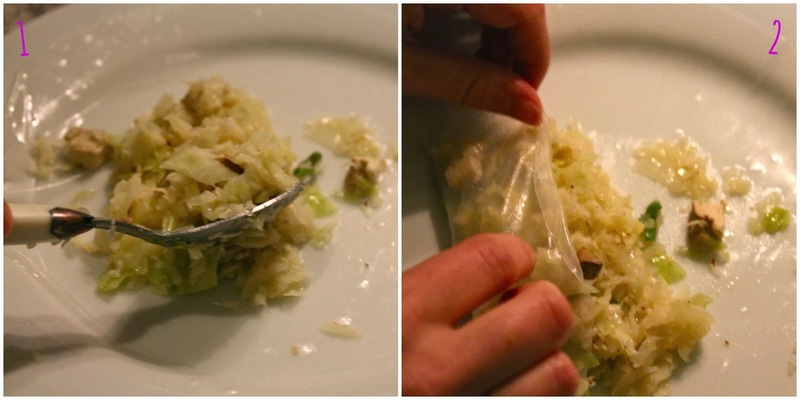 Put one of your rice papers into cold water until it gets soft. 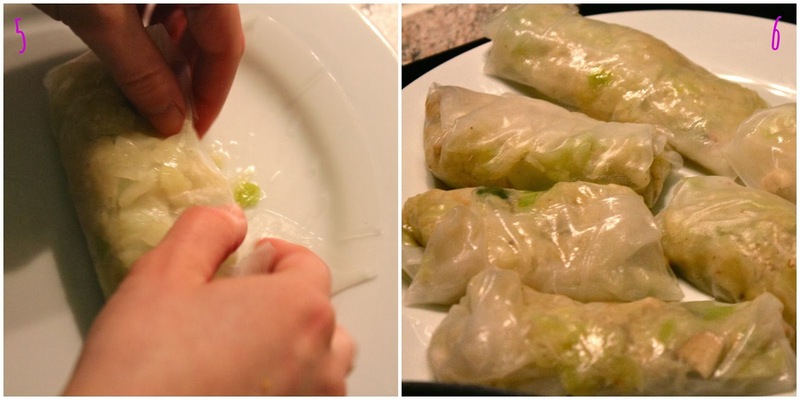 Then put it onto a plate and fill the spring roll with one or two tablespoons of filling following the picture instructions below. If you want you can now eat the raw spring rolls but we prefered to fry them in sesame oil for a few minutes until they got a nice brown colour. Yummy! All pictures by Stefanie Reichl/David Auer.